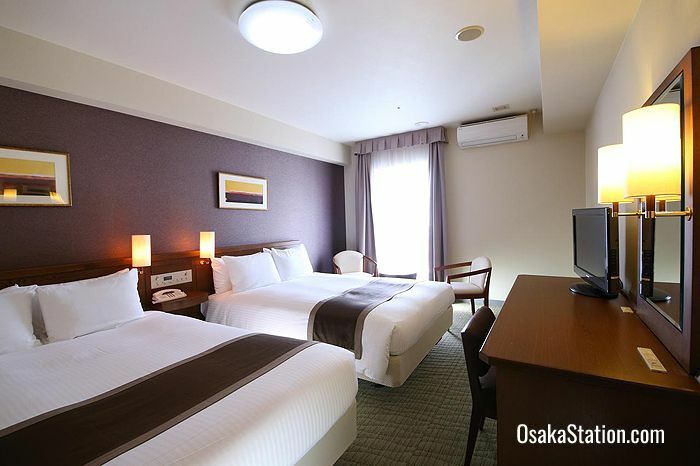 Across Japan the Hotel Hokke Club chain of business hotels offers consistently good service, with clean, efficiently run facilities and very reasonable room rates. 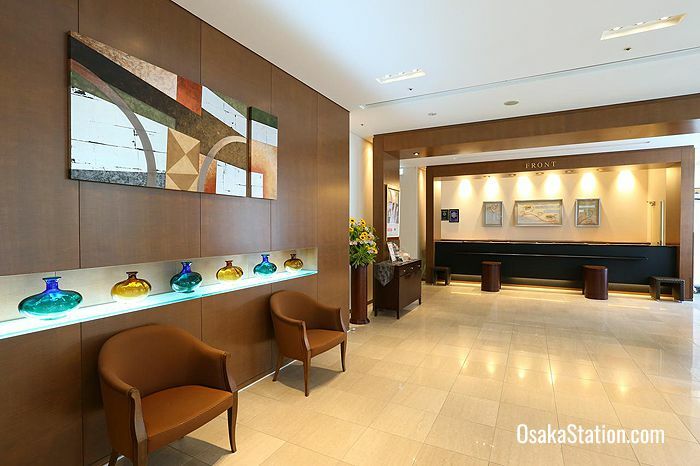 Hotel Hokke Club Osaka is no exception to this rule. 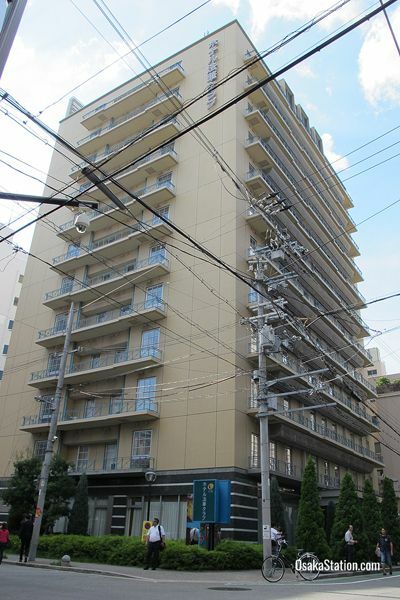 Though situated in a rather seedy part of Umeda’s entertainment area, the hotel itself has top notch amenities including a large public bath on the top floor from which you can enjoy city views as you bathe. The hotel is also convenient for local transportation, and there are many restaurants, shops, and bars in the immediate vicinity. In this hotel the Single Rooms and Twin Rooms have double beds, and the Deluxe Twin Rooms and Triple Rooms have semi-double sized beds. All beds are fitted with the world famous Simmonds brand of bedding and luxuriously soft down duvets. There are also Japanese style rooms with tatami matting on the floors and futon mattresses and these can take up to 3 people. All rooms are fully air conditioned and supplied with free Wi-Fi and LAN internet connections, a telephone, a refrigerator, an LCD TV with free satellite channels plus some pay per view channels, an electric kettle, a tea making set, and night wear. Bathrooms come with a bathtub and shower, a hairdryer and a complete set of complimentary toiletries. Because this is a business hotel, guest rooms are all brightly lit, so that you can continue to work or read in your room without straining your eyes. The hotel restaurant “Lotus” serves a daily breakfast buffet every morning from 6.30 – 10.00. This includes a broad range of Western style breakfast foods, like ham, eggs, and bread. There are also typical Japanese dishes such as fish, rice, and pickles, and some local Osaka specialties too, such as “doteyaki” which is beef stewed in miso condiment and mirin rice wine. Plenty of fresh fruit, and veggies round off the buffet to provide all your nutritional needs, and you can wash it all down with juice, coffee or tea. Breakfast is a very reasonable 1,296 yen for an all-you-can-eat service. Reception staff can store your luggage before you check in or after you check out. They can also advise you on the best local restaurants. There is free Wi-Fi available throughout the building and in the 1st floor lobby there is a Computer Area with computers and a printer that guests can use free of charge. The public bath on the 12th floor is open at these hours: 16.00 – 26.00 and 6.00 – 9.00. There is a separate and secure bathing area for ladies, which is only accessible with a PIN number. Massages can be booked at reception every day except Sundays and public holidays. The cheapest massage available lasts 30 minutes and costs 3600 yen. There is a laundromat on the 3rd floor with coin operated machines. There are two washing machines and two dryers. Laundry detergent is dispensed automatically by the washing machines. There are also vending machines selling both soft drinks and alcoholic beverages, and ice machines too. 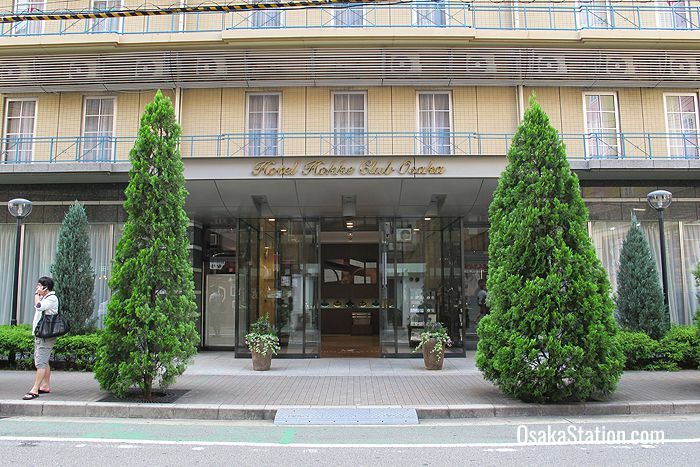 Hotel Hokke Club Osaka is a 12 minute walk from the south central exit of Osaka Station and a 10 minute walk from Hankyu Umeda Station.